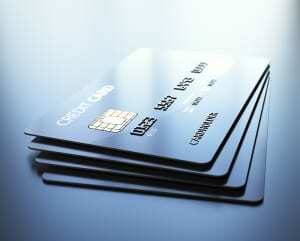 Is funding your startup through credit cards a viable solution? After all, not every aspiring entrepreneur is lucky enough to qualify for a business loan. We’ll tell you the risks of funding your startup with credit cards and some alternative strategies you can explore. In some cases, for $5000 to $10,000 you could launch a startup and it can be a tempting motivation for using credit cards. Several successful startups have gotten their start this way, including the Tropolis group. In the recent economic climate, many starting entrepreneurs find themselves without the collateral to start a business, and credit cards seem to be the only option. However, building a business that relies on funding from clients can be risky when using credit cards, because a late payment from a client can lead to a late credit card payment. Interest payments could accrue. Funding your startup through credit cards also requires a high level of organization if you want to keep your debt low. To ensure you do not get in over your head with debt, you’ll have to pay the credit card bills in full every month to avoid accruing interest payments. It may seem like common sense, but organization skills are key to remaining out of debt – it’s easier said than done. Even if you’re starting your business by relying on credit cards, your long-term strategy needs to change. You should plan to rely on revenue from customers. Using credit cards to fund long-term infrastructure, or even salaries for employees is a good way to end up in debt. Pay off your debt. Potential investors are not keen on seeing it. Ultimately, the choice is up to you. Just know that there are better options out there, like purchase order financing and trade financing, both of which are available at Capstone. For more information on lending options that are tailored to your business needs visit our homepage. Check back in on our blog from time to time for more industry news and analysis.